The Tokyu Fudosan Holdings Group recognizes the sustainability of communities and society is an important issue for the sustainable development of companies. It is based on this awareness that the Group carries out various self-led activities through its businesses for communities and society, such as enhancing the value of an area or generating economic benefits. We will continue to work with stakeholders such as design firms, construction companies, and end customers to help revitalize local communities through our businesses. We are committed to take the Group’s business and advance it to serve our local communities in creating jobs and making them revitalize and flourish. Tokyu Fudosan Holdings Corporation and Tokyu Land Corporation established two programs with total investment of 5 billion yen for financially vulnerable start-up companies. 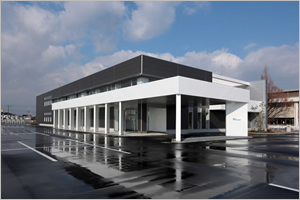 Ewel, Inc. opened a second operation center that handles administrative processing in Yonago City, Tottori Prefecture to follow the other center in Matsue City, Shimane Prefecture. 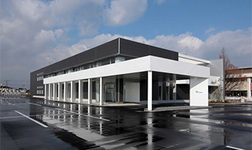 The Yonago Operation Center, which opened in February 2015, plans on hiring around 300 people from the local community over the next five years, which will contribute to the creation of local employment opportunities. 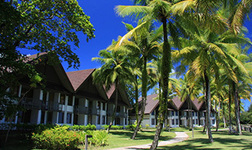 For nearly three decades Tokyu Land Corporation through its management of the Palau Pacific Resort has continually worked on environmental conservation, the passing down of cultural traditions, the creation of employment opportunities and development of infrastructure in Palau. More than 80% of the Palau Pacific Resort's staff is hired from Palau and Tokyu Land Corporation gives back to the local community through the creation of employment opportunities and developing human resources qualified for working in the hospitality industry. The Group has continued to provide assistance toward the recovery effort of the Great East Japan Earthquake since 2011 by utilizing its network of resources. The Group has continued to provide assistance toward the recovery effort of the Great East Japan Earthquake since 2011 by utilizing its network of resources. Our ongoing efforts include employee volunteer activities in Rikuzentakata City and the Midori no Tohoku Genki Camp Program, which seeks to provide mental care to children affected by the disaster mainly living in Fukushima Prefecture. 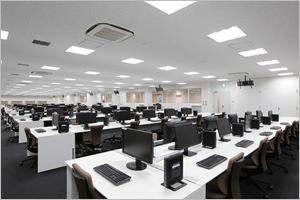 Tokyu Land Corporation has established a volunteer leave program that enables employees to take up to five days of leave per year in order to take part in volunteer activities in support of the reconstruction effort from the Great East Japan Earthquake. This program also provides up to a 20,000 yen (including consumption tax) stipend per person per activity to defray their costs. Additionally, Tokyu Land Corporation dispatches personnel around once or twice per month to attend local meetings with Kesennuma Regional Development, the developer of a planned commercial facility in the city’s port area that will serve as a symbol of Kesennuma’s reconstruction. In turn, these personnel provide advice concerning the operation, management and tenant solicitation for this facility to support its pre-opening preparations. Tokyu Fudosan Holdings Corporation and Tokyu Resort Service Co., Ltd. have established an e-commerce site selling products from the Tohoku region and Kumamoto in order to support the reconstruction of these areas. 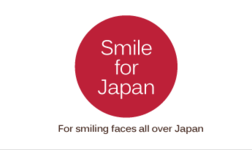 One percent of the sales from this site will be donated locally through the Japanese Red Cross Society. 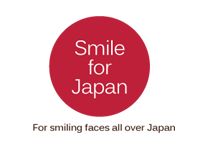 Tokyu Land Corporation and Tokyu Land SC Management Corporation which runs Q’s Mall have been partnering with local communities in neighborhood revitalization, the “Smile Project”. 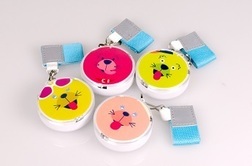 As part of the project at Q’s Mall embracing its slogan “Town is generous, people are joyful”, the mall membership card holders donate their shopping points to “Let’s give our school kids’ safety alarms” program to make Q’s Mall personal safety alarms to be presented to first graders in neighboring elementary schools every year. The Smile Project has also implemented a number of community revitalization programs including donation of gym equipment to elementary schools around the Mall, responding to a local request for the better environment for local children to enjoy sports. Tokyu Land Corporation is involved with the activities of an NPO called the Shibuya Station Area Community Planning Council, which was established in order to promote Shibuya Station area, where Tokyu Land Corporation was founded, as a place to live, work to raise the profile of the community and promote its attractiveness. As part of its support, Tokyu Land Corporation sponsors the Shibuya Music Festival, a local event organized by the Council every year, and provides direct support to the Festival with employee volunteers. In addition, Tokyu Land Corporation is a member and supports the activities of the Shibuya Sakuragaoka Community Planning Council, established with a similar goal for the nearby Shibuya and Sakuragaoka neighborhoods. In addition, TFHD and TLC have sponsored the Aoyama Festival's "Aoyama Sports Halloween Parade" since moving the headquarters to Minamiaoyama in Minato-ku in 2015. We organize the music event "BOSSA Aoyama" which is the main content of the Aoyama festival, and it is held free in the main lobby of the head office. For these activities we made the following donation in FY 2017.